Greenspoon Marder LLP is committed to providing excellent client service through our cross-disciplinary, client-team approach. 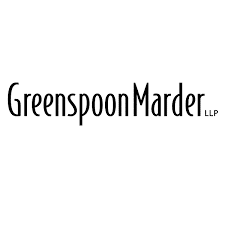 Among the first national law firms to establish a dedicated Cannabis Practice Group, Greenspoon Marder is at the forefront of this exciting and rapidly growing industry. Our team helps cultivators, retailers, product manufacturers, distributers, and testing facilities, as well as ancillary industry businesses and investors. Greenspoon Marder is a full service, Am Law 200 and NLJ 500 ranked law firm with more than 200 attorneys. We serve Fortune 500, middle-market public and private companies, start-ups, emerging businesses, individuals and entrepreneurs across the United States. For more information, visit www.gmlawcannabis.com.